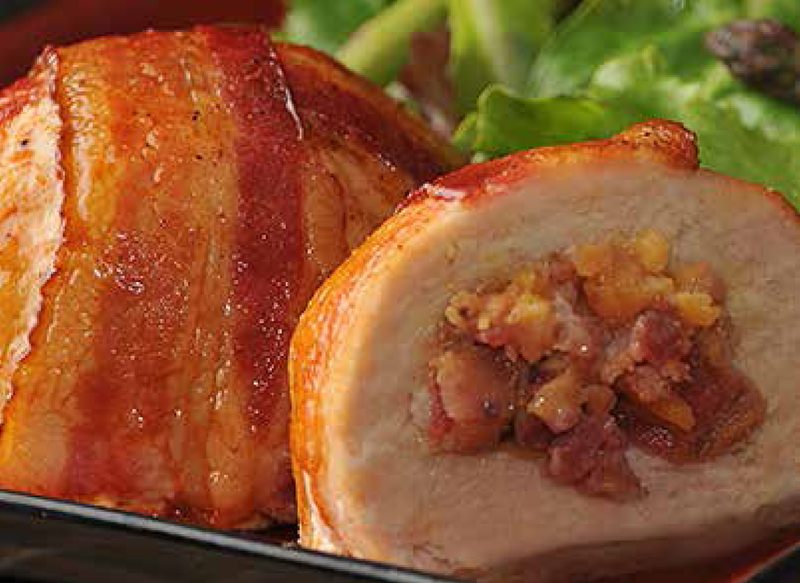 Perfect for the Grill or easy to cook in the oven, these delicious bacon-wrapped chicken breasts are stuffed with tantalizing ingredients including bacon, cheese, mushrooms & more…try one of each. Prior to cooking, remove product from packaging. Thawed: Preheat oven to 350°F. Place on raised edge baking sheet. Bake approx 35 min. or until internal temp. reaches 165°F. Frozen: Preheat oven to 350°F. Place on raised edge baking sheet. Bake approx 60 min. or until internal temp. reaches 165°F.